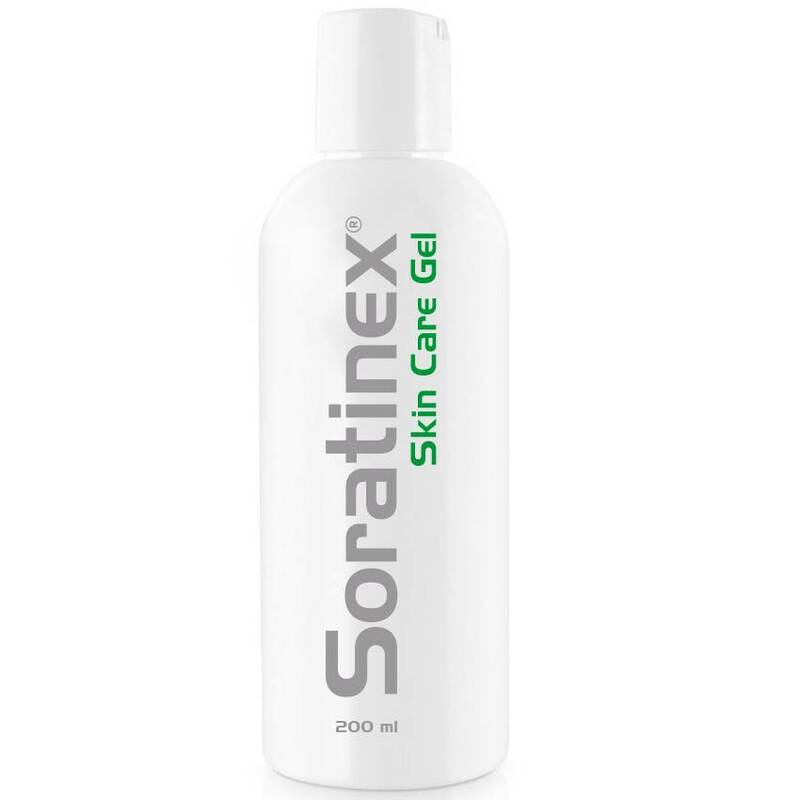 Large/small SORATINEX Set contains all three products necessary for the treatment of skin affected by chronic plaque psoriasis..
SORATINEX Skin Care Gel contains natural fruit acids which help to reduce peeling and smoothen the skin. 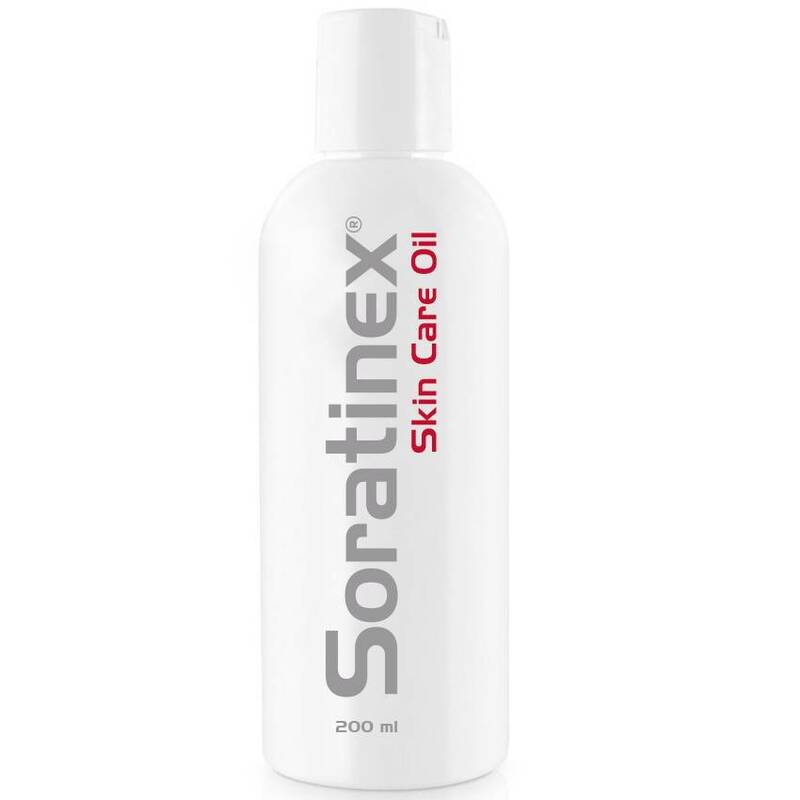 SORATINEX Skin Care Oil contains natural essential oils which help to hydrate the skin after treatment and forms a natural protective film. 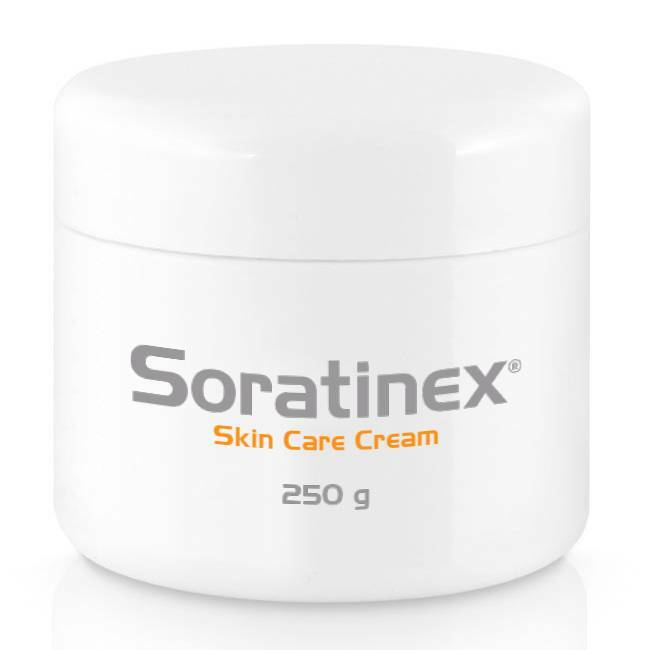 Clinical testing Clinical trials across Europe Clinical trials in the UK (2017) Soratinex - Open German trial and review of the literature. the triple combination of natural, non-prescription products for the treatment of psoriasis. herb mixture to treat psoriasis and astonished the world's medical community. and pregnant women... Interview with Dr. Michael Tirant (PhD) . 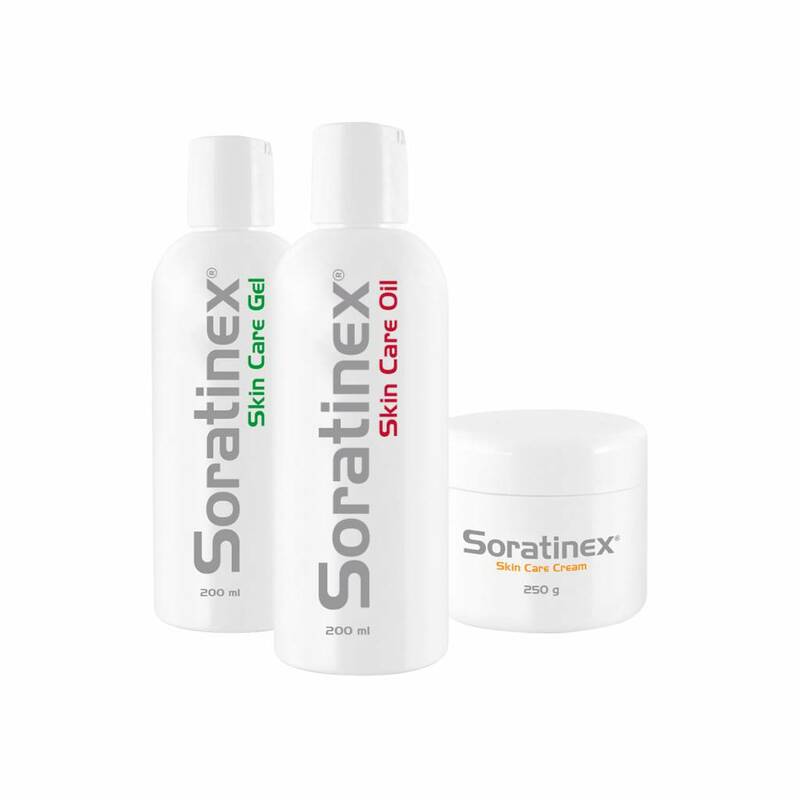 Triple combination of natural, non-prescription products for the treatment of psoriasis. I spent 60 years hiding my skin because of my crippling psoriasis. Interview with Professor Torello Lotti M.D. Interview with a specialist Prof. Jana Hercogová M.D. 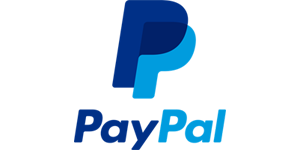 The purpose of processing your personal data is to send business messages and do other marketing activities. Your personal data will be stored for 20 years, but no longer until your personal data processing consent is revoked. 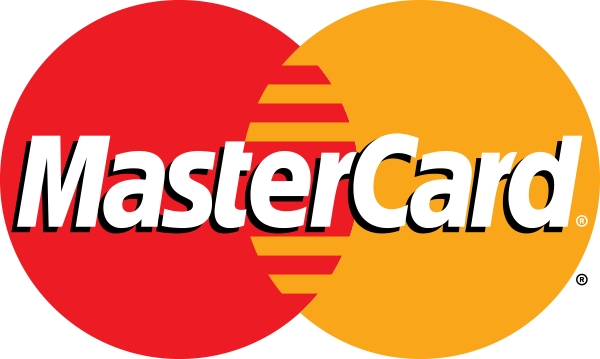 Your personal information may also be provided to a person providing marketing services. You have the right to withdraw this consent at any time. +44 (0)1270 758004 9am–5pm, Mon. to Fri.